Nathan (Homepage) wrote: Reminds me of an old grandpa. Great lighting and composition on this shot. Sabine (foKuspoint) (Homepage) wrote: A wild looking young fella. Great portrait of this bird. grant (Homepage) wrote: man, looks like he's been through the war already... great shot! pernilla (Homepage) wrote: Lovely bird portrait. Very good composition and details. Great title. Susan (Homepage) wrote: I just love this...amazing portrait! Frida (Homepage) wrote: They are so cute, what kind of bird is it? Turnbill (Homepage) wrote: Love the lighting on this. Very good! Marcie (Homepage) wrote: Love your title - just perfect!! And the image and its detail is terrific!!!! BoB (Homepage) wrote: stupenda e che luce! Clarity (Homepage) wrote: I like this a lot, did you use a wide angle lense? You get the coolest pictures and how did he not fly away? you must be so quiet. beanow (Homepage) wrote: Wow! Sweet portrait! Very, very lovely..
Laurie (Homepage) wrote: Hehe! It looks like a little toughie! Cute. Giò (Homepage) wrote: Ma come hai fatto? Stupenda! E lo sfondo scuro fà risaltare ancora di più il soggetto! Il fatto che tu non l'abbia centrato è un tocco in più! Bravissimo, ma non c'è bisogno che te lo dica io!!! 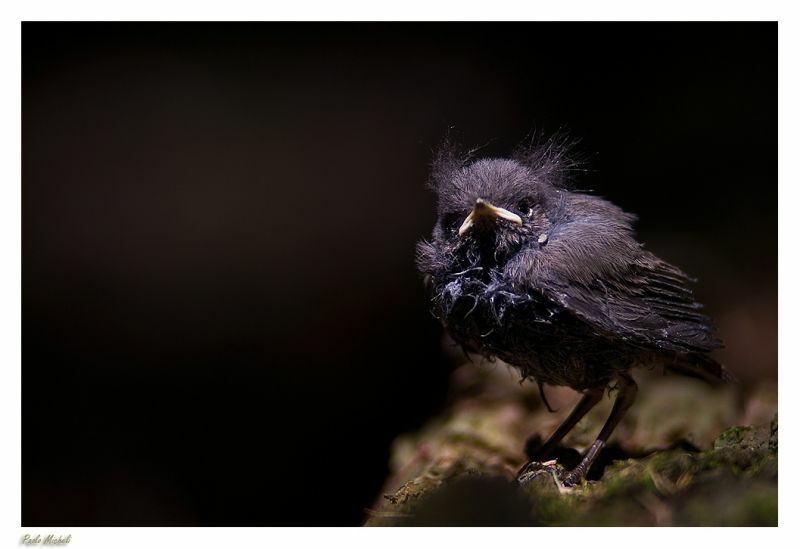 mbecher (Homepage) wrote: Looks like some weird professor bird.